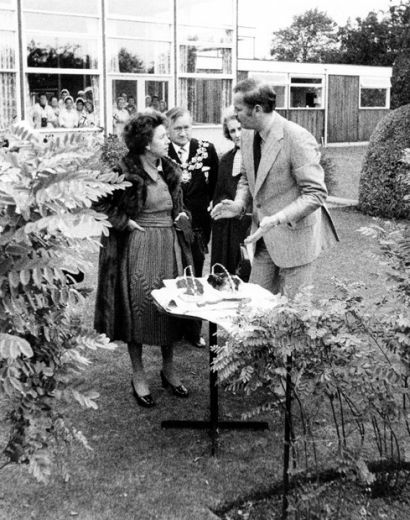 Princess Margaret visits Pontefract. This press photograph shows her at Trebor Bassetts, Monkhill Confectionery Works, escorted by Chris Marshall, the Managing Director, and the Mayor and Mayoress of the District. They are standing by the liquorice hedge outside the canteen. Photograph courtesy of the Pontefract and Castleford Express.